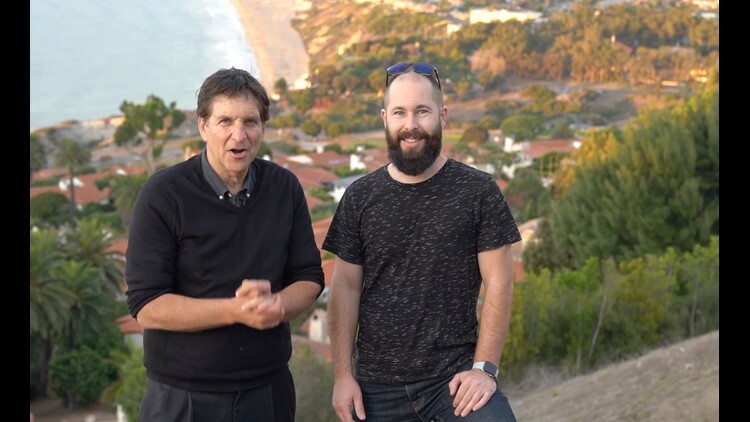 PALOS VERDES ESTATES, Calif. – Brian Hawkins and I are perched on top of Via Del Monte Street here, and we're planning to stay awhile. We're both shooting time-lapse videos at sunset, watching the day turn to night. I'm doing it the easy way, on an iPhone and GoPro, while he's going at it the harder way, on a pro-level Sony A7RII camera, with images he'll need to process in software later. My time-lapses will be complete and processed the moment I stop recording. His will take several hours. But his version looks way more impressive and in higher resolution. As they should. Hawkins makes his living as a commercial photographer who specializes in time-lapse photography, working his magic for companies like Disney and Knott's Berry Farm. A time-lapse is a compressed look at the world, where everything is sped up and is usually associated with floating clouds, the moon rising and floating across the sky (check that shot out in Hawkin's promo reel below). Time-lapse video "gives you a glimpse into something that's always there, but rarely seen," says Hawkins. "By speeding things up, you show the beauty of things that move slowly, and (it) gives you a new appreciation for things." If you've never done it, or are looking to up your game, Talking Tech has the perfect New Year's project for you: a primer on shooting time-lapse videos, the easy and hard way. On the iPhone, open the Camera app, select the time-lapse option (just below Video and Slo-Mo) and click record. Expect to leave the camera in time-lapse mode for at least 30 minutes. An hour would be even better. Because everything is sped up, that 30 minutes of footage could result in just 10 seconds of a clip. Beyond clicking record and letting it roll, there's more to it. First, a mandatory accessory is a tripod. You can't handhold a camera for longer than 30 seconds or so and expect a steady shot. Your hands will get shaky. You can buy a cheap model at Target, Walmart or Amazon in the $20 range. You'll also need an accessory smartphone tripod mount that will cost $5-$10. Time-lapse videos are a collection of still images, usually taken every few seconds or so. On the iPhone camera app, you are not given options for how often the shutter takes new images. To do that, try the OSnap app ($3.99) which lets you decide how often the shutter will open and close. Once the recording is done, play it back from your Photos app and enjoy. 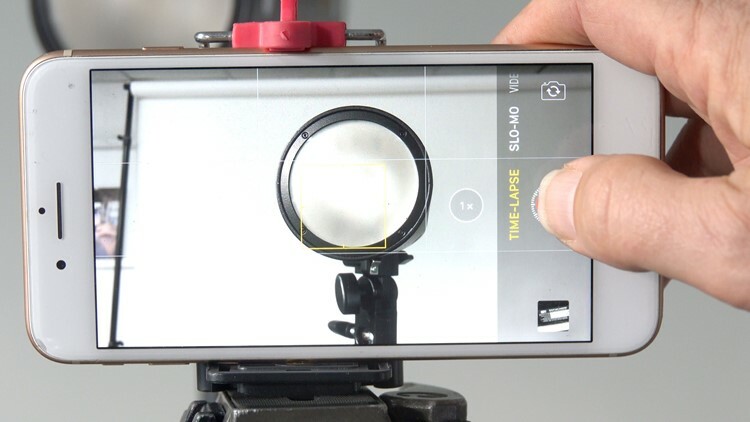 On Android devices, recent Samsung Galaxy phones have "Hyperlapse," available as a camera mode, similar to iPhones, but users get a choice of speeds: 4X, 8X, 16X and 32X. The Google Pixel 3, which has won acclaim as a superior camera to the iPhone, is surprisingly missing time-lapse mode as an option. Popular third-party Android apps include Framelapse and Lapse It. To get started with time-lapse, you'll also need a tripod attachment for the GoPro ($19.99 at GoPro's store) and once mounted, turn the camera on, go to the menu and find the time-lapse options. GoPro offers several varieties. Time-lapse video will process the images for you while Time-lapse photo won't. 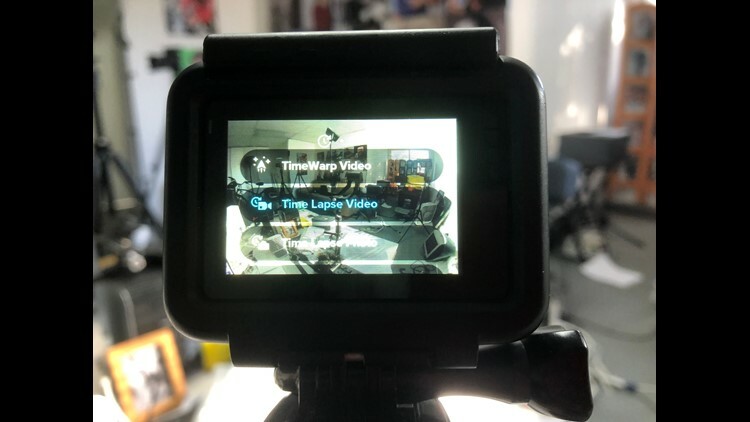 A new feature on GoPro Hero 7 Black cameras this year is TimeWarp time-lapse videos, which don't require a tripod. Instead, you get to move around for what's called a motion time-lapse. The built-in image stabilization of the GoPro does a decent job of steadying the action, but not totally, and the effect is wild and crazy. For some, it might be too weird, but I love it. After you stop recording, your video is done. Go watch it, and import it to the computer. The time-lapse videos produced by Hawkins look way cooler, but they're way more time intensive. If I put in an hour recording our time-lapse at the top of the hill here, he has the hour, plus several more hours of computer time. He begins by putting his camera on a tripod (a Sony A7RII with a 24-70mm lens) and composing his shot. Then he adds a vital accessory. An intervalometer connects to pro-level cameras to release the shutter without putting your finger on the camera and potentially shaking it. It also can be adjusted to automatically snap the shutter repeatedly for a set period of time, say, an hour or so. They can be purchased for $20-$60. Before you click to purchase, make sure the model fits your camera. On this day, Hawkins set his shutter to snap new images every 4 seconds and let the camera roll for an hour. We end after the sun has fallen, and the night lights of the city start glistening over the water. For Hawkins, the real work is just beginning. He goes home and imports 2,000 or so images into the Adobe Photoshop Lightroom software program ($10 monthly), a tool many pro and advanced photographers use to catalog and edit their work. In Lightroom, Hawkins adjusts the lighting and contrast of several of the images, and batch processes them all. He then exports them as code, not as JPGs, and imports the code into yet another software program to fine tune. After another software program, LRTimelapse for more fine-tuning, he ends with Adobe's After Effects video program to turn the files into a finished video. 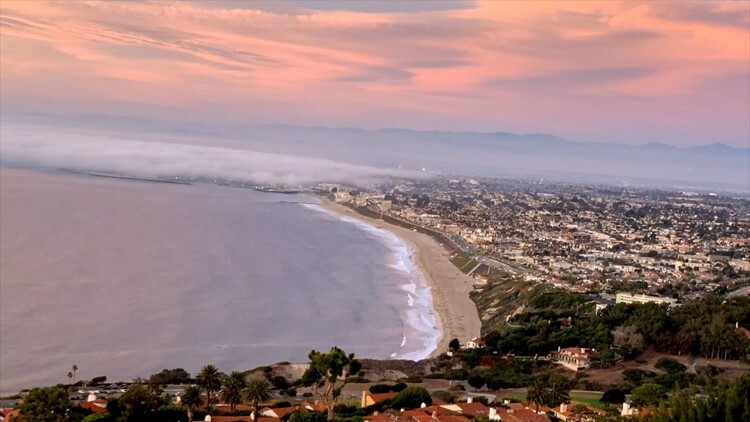 You can watch our Palos Verdes time-lapse videos here: GoPro Hero 7 Black, iPhone XS Max, Sony A7RII. Have questions about making time-lapse videos? We're here to help. Look for me on Twitter (@jeffersongraham) Instagram or YouTube.